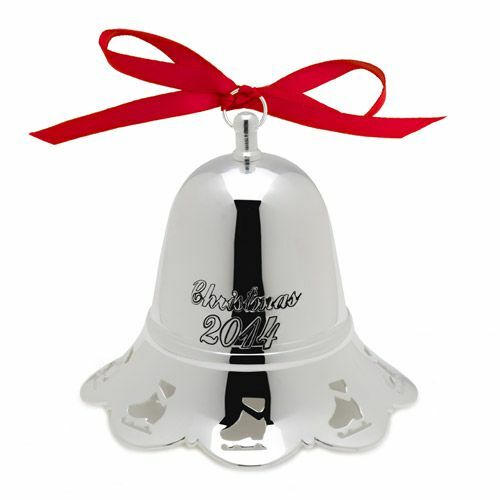 This 34th edition silverplated 2014 Towle Musical Bell will make ringing in the New Year a joy, year after year. 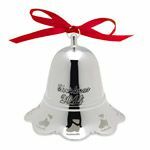 Engraved with "Christmas 2014," this musical bell, which plays the song "Skaters Waltz", will serve as a fond reminder of the happiest times of the year. 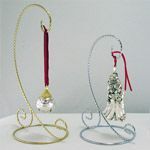 This 2014 Towle Musical Bell ornament measures 4-1/4 inch high x 3 inch diameter at base. This item can be engraved! 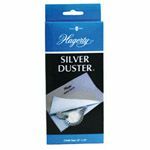 Add a bell to your shopping cart for engraving options. You may also like the Noel Bell by Reed and Barton which also plays music. 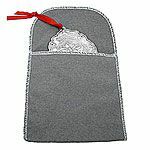 The 2011 Towle Annual Musical Bell is still available.